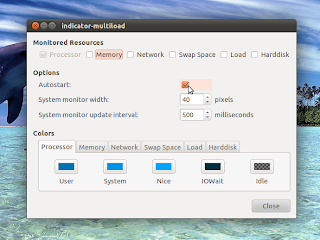 The original Gnome System Monitor has been ported into an AppIndicator for Unity. It is available through a PPA for Natty and Oneiric. It is the least resource hungry system monitor applet as far as I've tested. Once installed, search the Dash for 'System Load Indicator' and start it. By default, it automatically starts when you log in. You can configure it and some other options by clicking the indicator and going to 'Preferences'.